It’s time to stop the stigma. Teacher anxiety is at an all-time high, with the demands on teachers ever-increasing. 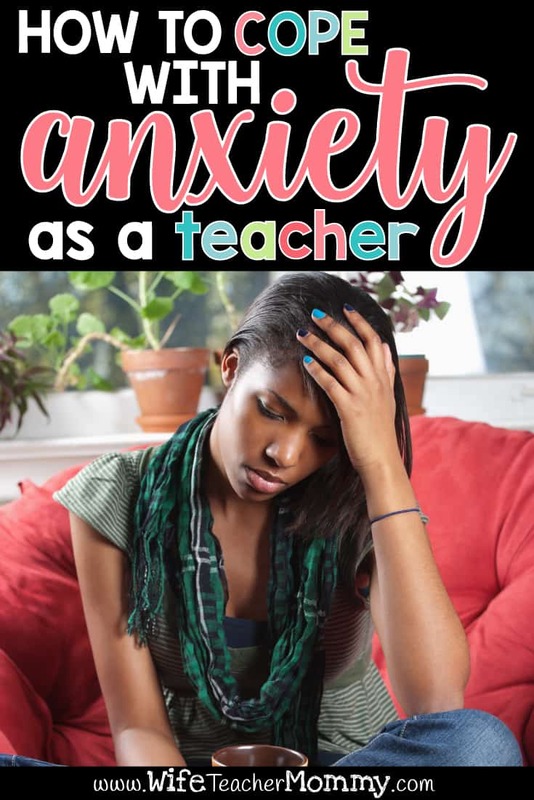 It’s completely normal to have anxiety, and whether or not you are diagnosed with anxiety of have situational moments of anxiousness, it’s important to find how to cope with anxiety as a teacher. Here are some tips to help alleviate anxiety in the high stress job of teaching. Don’t compare yourself to other teachers to prevent teacher anxiety. The biggest mistake you can make as a teacher is comparing yourself to other teachers. 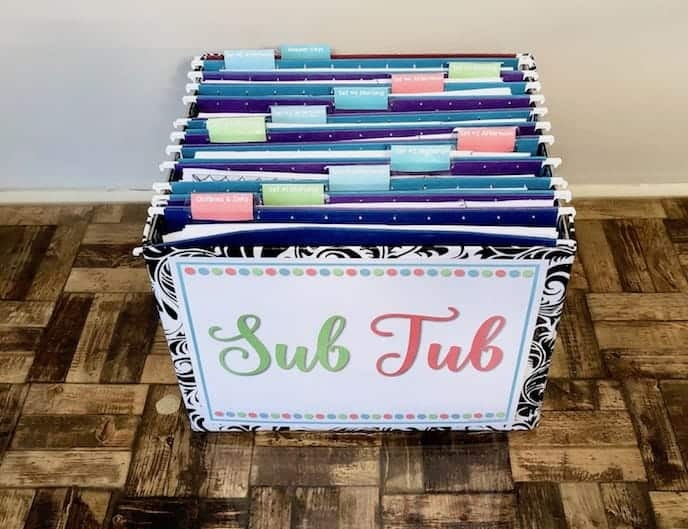 Walking up and down the halls, you’ll see other teachers with their Pinterest-inspired, tidy rooms while, perhaps, your bulletin boards are stagnant and plain. This does not make you a great teacher! Don’t focus on appearances. When you like something another teacher is doing in their classroom, ask them how they do it, but don’t feel like you have to do everything to measure up. You’re amazing. Slow down with mindfulness and meditation to cope with anxiety as a teacher. Take some time to reflect and meditate. Meditation is for everyone, and you can start at your comfort level. If you look to religion as a way to reflect, take some time for prayer. Emily, a K-5 teacher librarian from Indiana recommends yoga is a cathartic release. Even writing down your ideas to cleanse your racing mind can be helpful in dealing with anxiety. Recognize and be proactive about burnout to avoid teacher anxiety. Have a self care routine to keep your anxiety at bay. Practice self care in a way that works for you. Self care is not just about looking good; it’s about feeling good. In the morning, make sure you get breakfast to start your day right. Give yourself enough time to enjoy your morning without rushing out the door. Gina, a 7th grade math teacher from Nebraska, recommends starting your morning with a workout. “Working out every morning followed by coffee is my surefire happiness combo,” Gina said. In the evening, take a relaxing bath with a bath bomb, watch a program you enjoy, or take a bath. Do what works for you, and take some “me” time. Self care can also include spending time with family and friends during your non-teacher hours. There are clubs, committees, bulletin boards, extra-curriculars, social activities, lessons to plan, and papers to grade. Sometimes it’s OK to say “no”. Every lesson doesn’t have to be fit for a teacher of the year. Skipping the Friday Afternoon Club social outing to go home and read a book or hang out with your family is fine! Your students love to see you at their games, concerts, and practices, but if you try to do everything, you will get burnt out. This is when you will feel anxiety as a teacher. Take time for you, and it will make you a better mom, wife, and teacher. You are a wonderful teacher, wife, and mom, but you can’t be present in every aspect of your life at the same time. Sometimes that means the mom guilt creeps in. 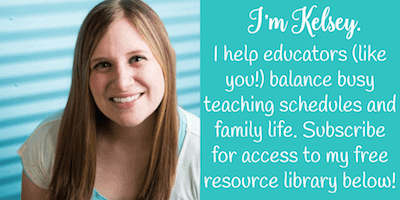 Just say no to teacher mom guilt by understanding you don’t have to do it all. Take a break with some ready-to-go lesson plans and resources to give you more time with your kids and family. 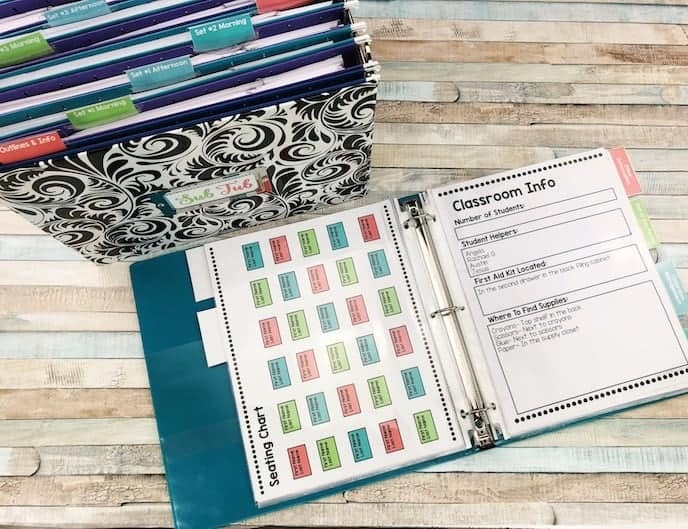 This will lessen your teacher anxiety, because you won’t have too much on your plate. Seek professional help if needed to deal with your teacher anxiety. Following these tips is not enough for everyone. Anxiety and depression can be caused by chemical imbalances. Medicine and/or therapy can help many people. “Getting help isn’t a sign of weakness,” said Megan, an 8th grade science teacher from Virginia. Getting help can help lessen anxious and depressed feelings. Some insurance programs even offer some free counseling visits through Employee Assistance Programs. Check with yours. They are always confidential. Stress and anxiety in the education field is almost a given. When it comes to much to bear, use these tips to find out how to cope with anxiety as a teacher. Thank you for sharing. I feel teacher anxiety is a serious problem. I started feeling this away about 3 years ago. You provided so excellent tips. Thanks!! It is a really prevalent problem for so many teachers! I hope these tips help you, Kendra. Thanks for reading! Expectations are high, but pay is not. Co-teaching with narcissistic people. Admin who plays favorites. Guilty parents who lash out. No time to do anything. Meetings!! No lunch time. That’s stress. I agree with you. It is SO stressful! 🙁 We all have to find our own ways to cope with all of the stress.